HOT AIR is the story of twenty years of political struggle between politicians, scientists and activists wanting to reduce New Zealand’s emissions, and corporate leaders and their lobbyists working to protect profits and commercial advantage. HOT AIR, a new documentary by Alister Barry & Abi King-Jones, will be screening in the upcoming New Zealand International Film Festival in Wellington, Auckland, Dunedin, Christchurch, Hamilton & Palmerston North. In 2013 Alister Barry won the Bruce Jesson Foundation’s Senior Journalism Award to assist in completion of the film. See http://www.hotairfilm.co.nz for session dates & times. Have you got a journalistic project that you want to complete, but can’t get enough money or time to do it? If so, a Bruce Jesson journalism award may be able to help. Applications for the 2014 awards are now open, and close on Friday 26 September. There are two awards, a senior one to fund a planned journalistic project and a journalism student award for work that has already been published. The senior award is unique in New Zealand because it funds time and research costs of up to $4000 in advance for projects that could be newspaper or magazine articles, reports on the internet, books, films, radio or TV documentaries or “any other publication which is aimed at, and accessible by, the general public of New Zealand or any part of New Zealand”. Projects must be “critical, informed, analytical and creative journalism or writing which will contribute to public debate in New Zealand on an important issue or issues”. Past winners have included Nicky Hager, Max Rashbrooke and Rebecca Macfie for books; Jon Stephenson, Amy Richardson and Peter Malcouronne for magazine articles; Tina McIvor for a research report; and last year’s winner, Alister Barry, for a film on New Zealand’s climate change policies. The Emerging Journalism Prize for student journalists offers has $1000 for “outstanding recent work by New Zealand print journalism students.” It is nominated by the heads of New Zealand journalism schools or journalism programme leaders for published work by student journalists. 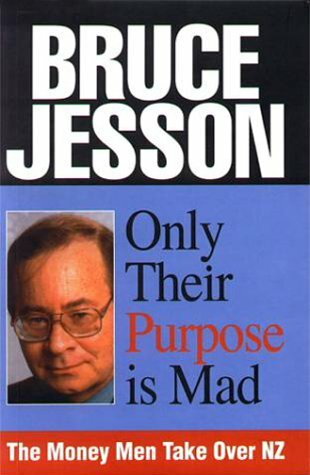 Entries for the 2013 Bruce Jesson Journalism Prizes are now invited both from self-nominating senior journalists and the Heads of New Zealand journalism schools. Entries will be assessed by members of the Foundation’s Journalism Sub-committee: Geoff Kemp (convenor), Camille Guy, Joe Atkinson, Simon Collins, and Jon Stephenson. Details are available on the website. Applications and nominations (including copies of nominated work) can be submitted online, or mailed to Dr Geoff Kemp, c/- Political Studies Department, University of Auckland, PB 92019, Auckland (g.kemp@auckland.ac.nz). The deadline is 5pm, Friday 26 September 2014.